Having a great birthday party can be one of the best experiences of the whole year as quality time is spent with family and friends. Because your birthday party only comes once a year, it is like having a personal holiday in your honor to celebrate your achievements so far in life. 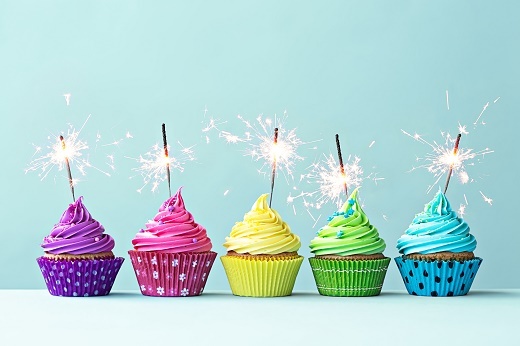 It’s now easier than ever to make your birthday party special with Stokely Event Center! The unique atmosphere achieved by having your birthday party at our Tulsa event center can help make the celebration memorable. With a vast collection of neon signs and vintage signs from Route 66, you can create a sense of nostalgia for a friend or family member that has lived throughout the changes in Tulsa over time. Our unique décor can make your birthday party special with Stokely Event Center. Stokely Event Center has the resources needed to provide endless entertainment for both you and the guests that attend your birthday party. At our event center in Tulsa, we have a wide variety of classic arcade games set to free-play including Skee-Ball, various pinball machines and other classic games to keep all ages entertained. For even more fun during your event, use our audio and video equipment to provide even more entertainment! At Stokely Event Center we don’t believe that you should be bound to caterers for your food options. While many who utilize our event center in Tulsa will still use catering, you should have the option to bring your own foods or even cook them on the property. Take control of your own menu and make your birthday party special with Stokely Event Center!